My Beloved Sons, may the blessings of Love be enlightening you today and always. Each day we will be closer to you, to blow our sweet words to relieve your hearts, which are already so often tired of this process. Our intention is always to relieve them, to make them stronger, more understandable, always with a breath of hope, wisdom and strength. But this, not because we need to support them, but because the Love that radiate us, when we approach, breaks the barriers of their world to bring us even closer to you. Every time we approach you, you only emit Love, admiration and nothing else, because, deep down, you carry within you the feeling of Oneness with all Creation. Otherwise, they would not love us that much! And in these words, we have the great opportunity to radiate our Love, and open them to send the Love that is in their hearts back to the whole Creation. It is a great opportunity for our beings to help them in this journey, and thereby also enrich themselves with their experiences. It is a gentle and fraternal exchange that we carry out in these readings. You know, Beloved Ones, the emotional baggage that you brought to release in these final times is one of the heaviest ones that you have carried for a long time inside. It was a source of great pain, many challenges and even the opening of so many lives, between comings and goings, between our plan and the terrain. These words that we bring to you, therefore, are an encouragement to look at the very process - which each of you pass - so that they reflect, so that they try to feel their bodies, so that they begin to look at and thus to understand the experience Earthly. 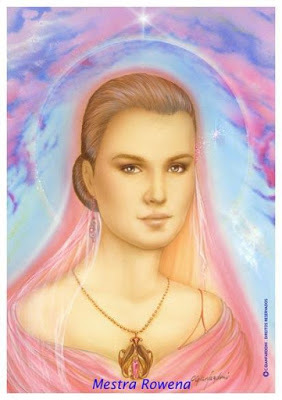 We bring words of empowerment, not because you need it, but because you, Beloved Masters, have everything you need in your hearts and you are the wise and courageous, who have accepted the beautiful mission of rising and thus raising a planet together. You have come to protect this environment, for everything you bring within you, for many are prevented from continuing your plans, just because you are here on this planet. We bring these words as the keys of their hearts to remind them that they have everything they need within them, and with that we have the great opportunity to assist them in this process. Yes, help, because these little keys are nothing before ALL that they bring within themselves; They are just little reminders of Love. There is nothing, Masters, who does not know and is not in your Hearts, but we are here to support and bring you these keys that you both appreciate and ennoble in your day. Our role is to support you, and yours is to shine and allow, in the process of purification and enlightenment, to expand consciousness and anchor Light in an environment so lacking in true wisdom. It is a hard process, yes, that touches them in the heart, but the blessings they will take from there will be infinite, greater than life itself. I bless you, for I am Rowena, the Teacher of Love, and I come today to thank you for loving us so much. Messenger: Thiago Strapasson – June 24, 2016.